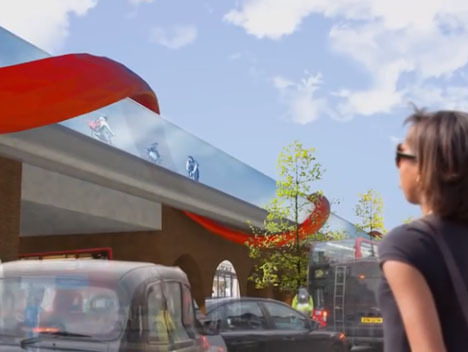 London could become much more bike-friendly with SkyCycle, an elevated route for bicycles only that runs along the existing rail network and would enable commuters to see the city in a new way. Never mind sitting in your vehicle inhaling exhaust while you’re stuck in traffic, or battling the perpetual jam of vehicles on your bike, which has proven to be a dangerous proposition. 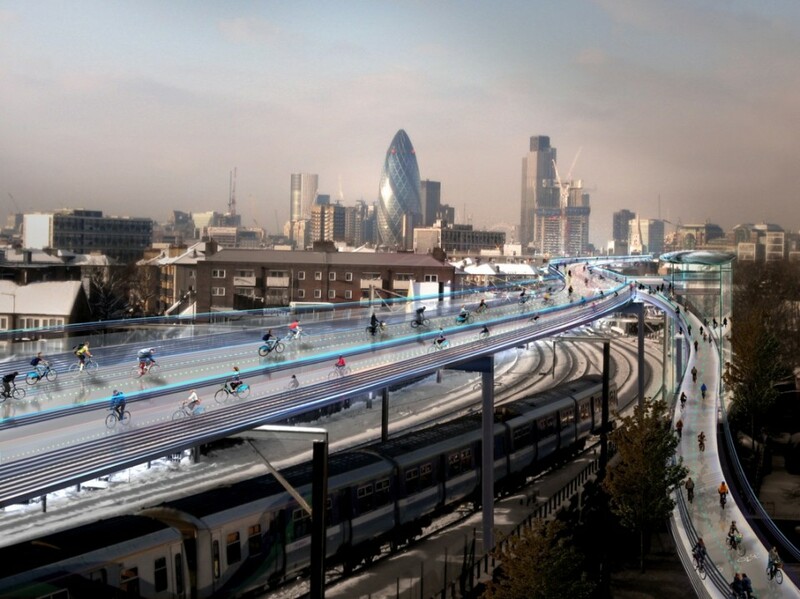 14 cyclists died in traffic accidents in London in 2013 alone. 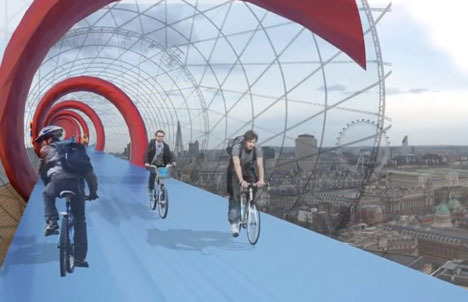 Designed by Foster + Partners in collaboration with Exterior Architecture and Space Syntax, SkyCycle is a 136-mile route with over 200 entrance points that can accommodate 12,000 cyclists per hour. The fact that the route follows the train system is actually ideal, since the railway lines were built for steam trains and follow contours that avoid steep ups and downs. 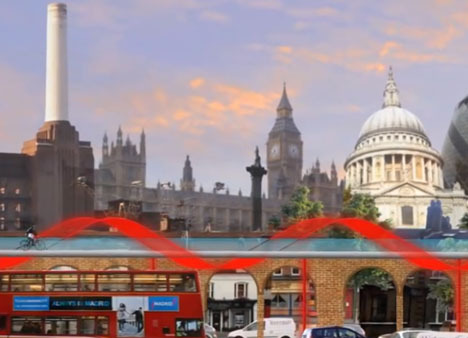 The route could speed up treks across the city by up to half an hour by avoiding traffic and taking more direct lines from one busy area to another. 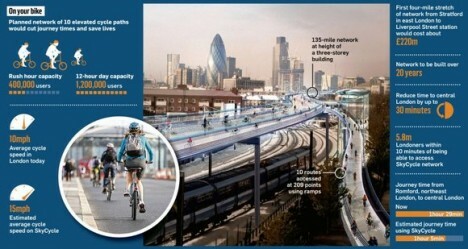 If approved, the routes could be in place within 20 years or so. The High Line in New York City, an elevated pedestrian route built along disused railroad tracks, is a great example of what can happen when a project like this is integrated into a busy city. Not only is the High Line a popular route for foot traffic, it also helped revitalize large swaths of industrial land that wasn’t living up to its potential.